// Between the lines //: Hi, Daddy! So, what have the girls have been up to today? * Tidying up the house a little (humpf). 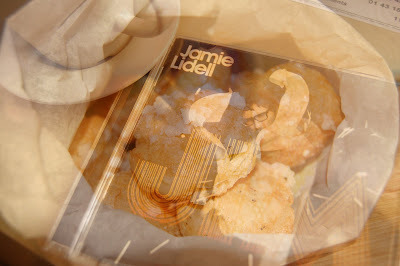 * Listening to Jamie Liddell's new release, JIM; we all three love it, turned up the volume (yes!) and listened to it over and over again. * M. was reading in her bedroom. * H. painted and made a wish list for Santa Claus (hope Santa didn't suffer too much from the financial crisis...). * We got REALLY soaked in less than a minute when we brought Lina downstairs to meet with her mom in the courtyard. The girls had a good laugh at it and me too.